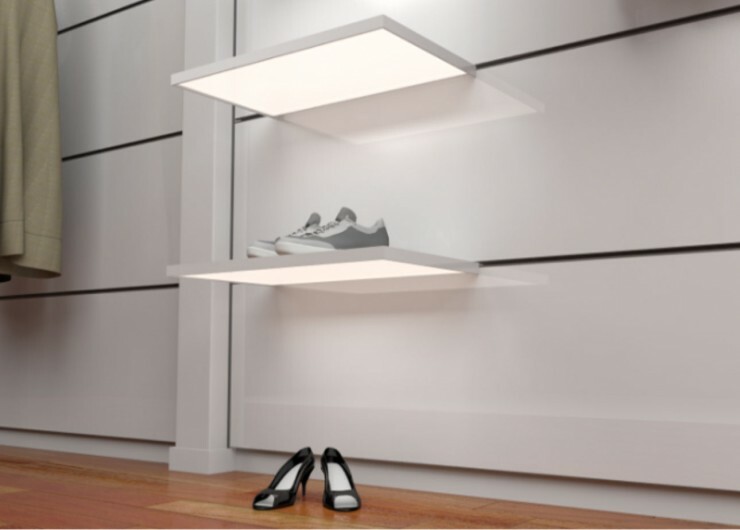 SUEL is a support system for luminous shelves; it is electrified with low voltage and is largely used in the lighting of exposure walls. It is characterized by different innovative elements that make it so versatile. Entirely realized in aluminum and available in different sizes so that it can be adapted to any outfitting. Due to its elegance and dimension, SUEL allows the use of creativity to customize the exposition environment meeting the modern architectural needs.